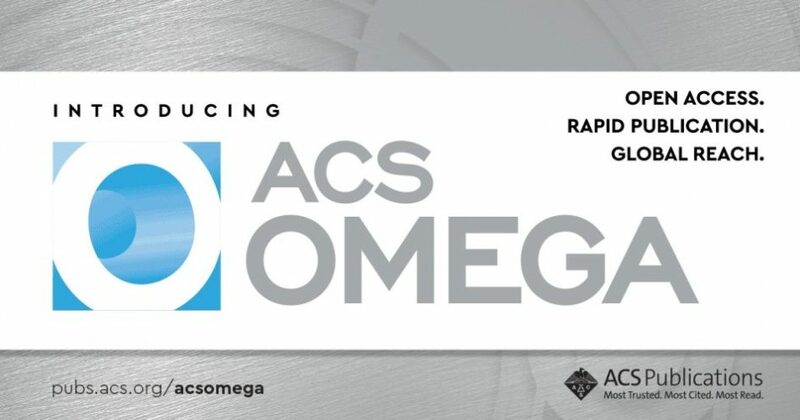 ACS Publications lowered the ACS Omega article publishing price for 2018 to just $750 per article, which makes it easier than ever to publish your research in a high-quality, fully open-access, peer-reviewed journal and get noticed by more of your colleagues around the globe. When you publish open access in ACS Omega, you make your research visible to both scientists and members of the public around the world. Jürgen Bajorath, Professor of Chemoinformatics, Computational Medicinal Chemistry, and Chemical Biology at The Life & Medical Sciences Institute (LIMES) at the University of Bonn, has published more articles in ACS Omega than any other author – seven and counting in less than two years. His prolific body of work is being recognized with the 2018 ACS Award for Computers in Chemical & Pharmaceutical Research. The ACS Division of Computers in Chemistry will present a symposium in Bajorath’s honor at the 255th American Chemical Society National Meeting & Exposition in New Orleans. The symposium will be held Tuesday, March 20, 8:30 a.m. to 11:50 p.m. in Blane Kern D at the New Orleans Marriott Convention Center. If you’ll be in New Orleans, come learn more about this researcher who just joined the ACS Omega Editorial Advisory Board. Guangzhou University Professor Bingfu Lee’s ACS Omega article “Bioimaging Application and Growth-Promoting Behavior of Carbon Dots from Pollen on Hydroponically Cultivated Rome Lettuce” was featured in AsianScientist. Debasish Haldar, Associate Professor of Chemistry at the Indian Institute of Science Education and Research (IISER) Kolkata, has published two articles in ACS Omega. The second, “Mopping up the Oil, Metal, and Fluoride Ions from Water,” was featured at Phys.org. Wuli Yang, Professor at the State Key Laboratory of Molecular Engineering of Polymers at Fudan University, was featured on ScienceDaily and Phys.org after publishing his article “New Application of Old Material: Chinese Traditional Ink for Photothermal Therapy of Metastatic Lymph Nodes” in ACS Omega. Sabrina Heng, Research Fellow at the ARC Centre of Excellence for Nanoscale BioPhotonics (CNBP) at the University of Adelaide, published her article “Rationally Designed Probe for Reversible Sensing of Zinc and Application in Cells” in ACS Omega and was also featured on Phys.org. Cassiana C. Montagner, Professor at the Institute of Chemistry and head of the Environmental Chemistry Laboratory of the University of Campinas (UNICAMP) was featured on Research & Development magazine’s website discussing the article “Biophysical Viscosity: Thermodynamic Principles of Per Capita Chemical Potentials in Human Populations,” which she published in ACS Omega with David M. Klein, Professor of Analytical and Environmental Chemistry at Texas Tech University, and three other colleagues. Robert M. Strongin, Professor of Organic Chemistry at Portland State University, has published three articles in ACS Omega to date, including “Toxicant Formation in Dabbing: The Terpene Story.” That article drew attention from media outlets around the world, including Newsweek, Forbes, and Genetic Engineering & Biotechnology News. ACS Omega has a thorough, but quick, peer-review and publishing process overseen by a team of respected, practicing scientists from around the globe. The journal’s editorial team is looking forward to reviewing your work, so submit a manuscript to ACS Omega today.